Bill Keith’s site is here. In the early 1960s as part of the folk boom, there was a revival of jug band music, which had been popular in the 1920s and 1930s. The most prolific and influential of the 1960s groups was the Jim Kweskin Jug Band, whose first of several albums was released in 1963. They came out of the thriving folk scene around Harvard University in Cambridge, Massachusetts (across the Charles River from Boston). They were the model for Mother McCree’s Uptown Jug Stompers, the forerunner of the Grateful Dead. The Even Dozen Jug Band, who made only one record in 1964, was also influential, but more for the later activities of its alumni, which included John Sebastian (soon to form the Lovin’ Spoonful), Stefan Grossman (who recorded several albums and authored guitar instruction books), David Grisman (who developed a progressive type of bluegrass), Joshua Rifkin (who recorded hit albums of ragtime piano in the 1970s), Maria D’Amato (who, as Maria Muldaur, joined the Kweskin band before going solo), and Steve Katz (of the Blues Project, and Blood Sweat and Tears). My introduction to the wonderful world of jug band music came from the Lovin’ Spoonful, whose first seven chart hits, from 1965 to 1967, all made the top 10. On the flip side of their debut single, “Do You Believe in Magic,” was “On the Road Again,” a folk rock version of a song the Memphis Jug Band recorded in 1928. I bought the Spoonful’s albums, and their song “Jug Band Music” gave me the name of a sound I loved. 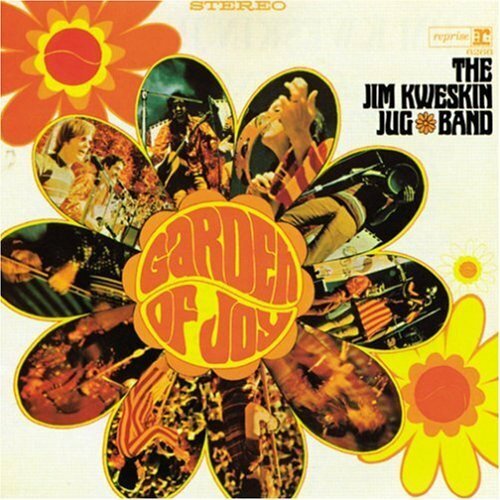 The first real jug band albums I bought were Jug Band Music (1965) and Garden of Joy (1967) by the Jim Kweskin Jug Band, and The Great Jug Bands, an anthology reissue of records from 1927 to 1933, on the Origin Jazz label. 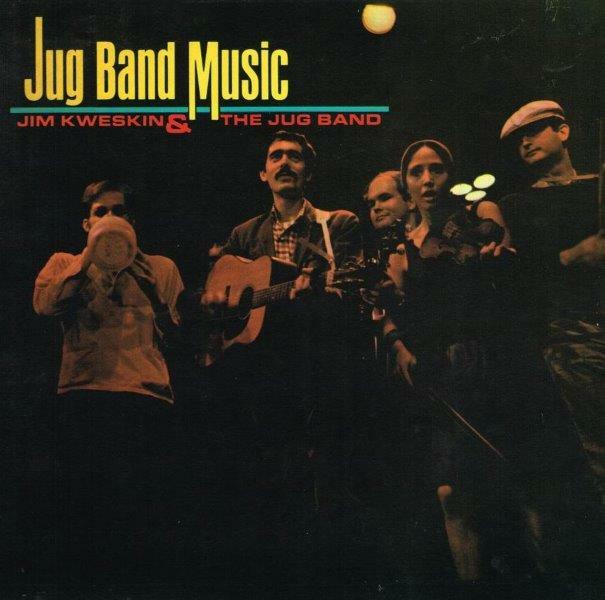 The Great Jug Bands came out in 1962 [I probably got it in 1966 or ‘67] and was obviously an influence on the Kweskin band, as they did some of the songs on it : “Jug Band Waltz” by the Memphis Jug Band, “New Minglewood Blues” by Noah Lewis’s Jug Band, “Garden of Joy Blues” by the Dixieland Jug Blowers, and “Goin’ to Germany” by Cannon’s Jug Stompers. Since then, I have bought nearly every jug band record, of old music and new, that I ever saw for sale. I have learned to play several songs from them. 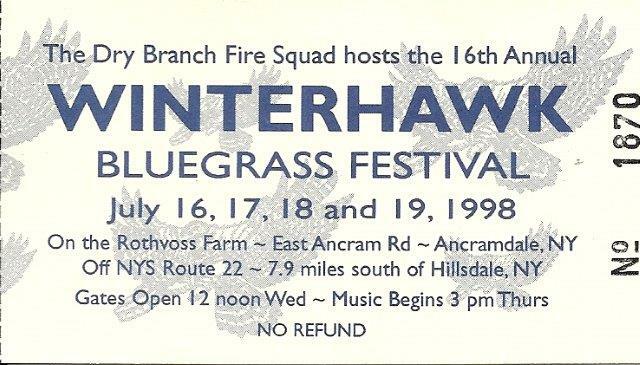 There were many musical reasons that drew me to the Winterhawk Bluegrass Festival in upstate New York in 1998, and one of them was to see Bill Keith. He was famous in bluegrass circles, not just for having been a member of Bill Monroe and the Bluegrass Boys, and his development of a melodic banjo style, known as the Keith style, but also for revolutionizing the tuning pegs of the banjo to rapidly switch into altered tunings. Keith had a close association with the pioneering banjo player Earl Scruggs, and they worked together on a book of transcriptions of Scruggs’ repertoire, a project Keith had worked on extensively before the two met. 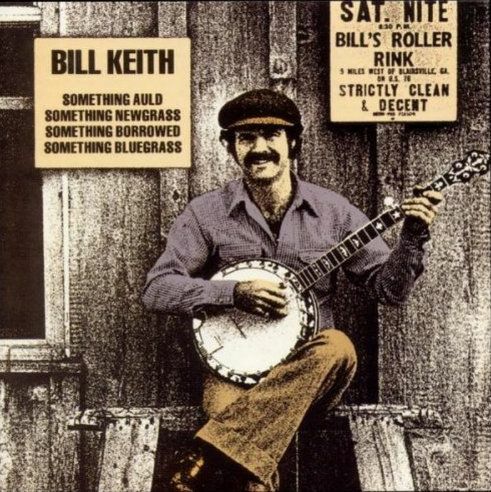 When I asked Bill Keith for an interview to talk about his jug band days he happily obliged, saying he always gets asked about his banjo playing and bluegrass but rarely about his jug band experience. The interview took place outdoors at the festival site, on a sunny day, July 19, 1998, with the sound of a band performing in the distance and the soft notes of a banjoist practicing nearby while waiting his turn to talk to Bill Keith. Craig Morrison : I first knew about you from the albums of the Jim Kweskin Jug Band, but weren’t you were in the Even Dozen Jug Band before that ? Bill Keith : No, I wasn’t. The Even Dozen Jug Band was based in New York City and I was living in Boston. After playing with Bill Monroe in 1963, at the very end of the year I returned to Boston. 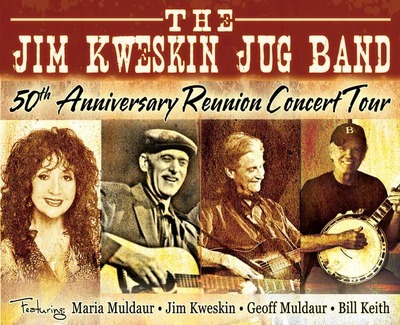 I used to go out and see the Jim Kweskin Jug Band because I knew everybody and I thought it was entertaining. Bob Siggins, who was on the first Kweskin Jug Band album, was actually a biochemist doing research, so he couldn’t travel out of town. So Jim Kweskin asked me if I would join the band. That was really my first experience with jug band music. 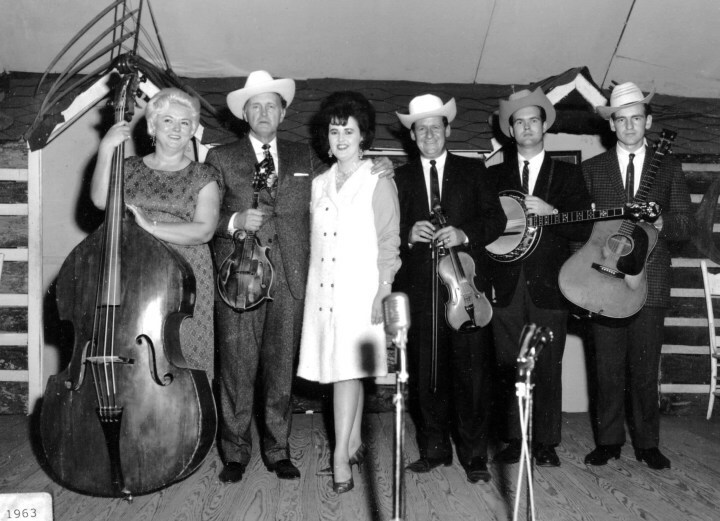 Photo : Bessie Lee Mauldin, Bill Monroe, Melissa Monroe, Joe Stuart, Bill Keith and Del McCoury at Bean Blossom, October 13, 1963. Source. CM : You weren’t familiar with that style ? BK : Only at a distance and I’m still really not a specialist in jug band music, as far as knowing lots of the real early performers and stuff. I consider Jim the musical director for the group, even though we tried to have a democratic basis for deciding on whether we’d do gigs or what tunes we play. Jim was our musical director until Geoff Muldaur, well, he was involved pretty much from the beginning, but he really liked some musical control. CM : You came in around what album ? BK : The second one. It was ’64 when I joined the band. CM : Did you bring in tunes to the band yourself, or were they all coming from Jim ? BK : I think between Jim and Geoff Muldaur. All of the things Jim was proposing were old original style jug band songs. Geoff, and of course, Maria—Maria was a member of the Even Dozen Jug Band in New York City—the two of them would bring in more modern ones. What is that tune ? “I’ll buy you a Chevrolet…” that was one of Geoff’s. I don’t think that’s an old tune, I maybe wrong. See, I really don’t know enough about the recorded history. BK : Sure, and “I’m A Woman” of course was a modern tune. CM : That was written by Leiber and Stoller. I don’t recall who did that. BK : Peggy Lee I think. CM : Yeah. Do you know where Jim got the impetus to start a jug band ? BK : I was only there after the forming stage went on. I remember Jim was always around the folk scene in Cambridge. He loved finger-picking guitar, and he was crazy about this style of music. I didn’t know where he was finding it. I loved to hear him play ; he had a lot of energy in his playing. Very positive, happy projection from the stage. Bill Keith plays on four tracks on this live album. CM : You had just played with Bill Monroe. How would you compare the musical sensibilities going from one to the other ? What did it feel like ? BK : Oh, it felt very different. First of all, Bill Monroe was a lot older than I was when I was in his band and he definitely was the musical director. You could use your own ideas—and I brought instrumentals to that group to play—but he never would have played them or recorded them if he didn’t like them. CM : Can you name a title ? CM : Where did you get those tunes from ? BK : “The Devil’s Dream” was a tune I’d heard a fiddler play. I connected with the tune. I realized that I could play these fiddle tunes note for note on the banjo. CM : That wasn’t done at the time ? BK : No, and so that’s why they call it the Keith style. CM : That’s one of your claims to fame. BK : Well, it’s something that happened along the way. CM : That’s great though ! BK : It’s-a, I mean I don’t…well, I guess. 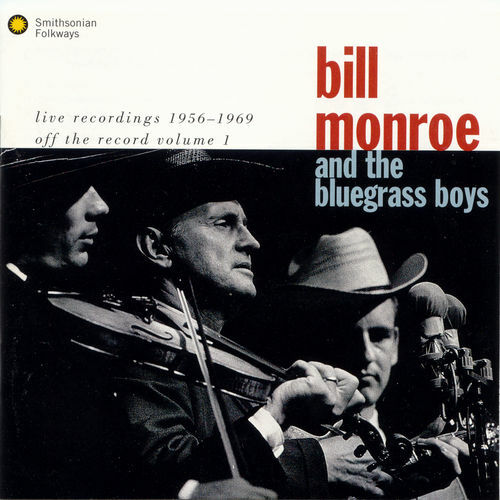 I brought “Salt’s Creek” to Bill Monroe’s band, which was a traditional tune from that part of the country, but he hadn’t really played it a lot or worked with it. But when I got in the Jug Band, this was a group of peers, people of my age and similar interests and similar situations. It wasn’t like we got dropped at the hotel and the leader went back to his home. Here we were all living in little apartments and going through the same thing. It was just more democratic. CM : Had you known anybody in the group other than just going to see them once in a while ? CM : Can you give me an evolution of the Kweskin band or that whole movement of jug band players ? It seems to me that that was the premier band of its time in that style. BK : Well we liked to think so too. However, we got out there and did it. We got on a lot of TV shows : The Jonathan Winters Shows, the Mike Douglas Show, an Al Hirt TV special, and just bunches of them. It never really broke through into the big time. We had a real good manager, Albert Grossman, who was managing Bob Dylan, Peter, Paul and Mary, Paul Butterfield, and Odetta and lots of other folk acts, but there was another jug band [Dr. West’s Medicine Show and Junk Band from Los Angeles] that did “The Eggplant That Ate Chicago” and they got on the charts [in 1966]. CM : Well you didn’t have any songs about eggplants ! BK : Well, I don’t know, it seemed like we were beating our heads against the wall and somebody else got that brass ring. We loved what we were doing, and I stayed in the band from ’64 through ’69, through some personnel changes. Richard Greene (fiddler extraordinaire) was in the band for a while. Mel Lyman left definitively. BK : Yeah. Actually as it turns out Kweskin became really more involved in the Mel Lyman community, the Fort Hill community, than he was the Jug Band. It’s funny, that’s when the type of music we were doing began to change. We weren’t enjoying it as much and Jim then announced that he decided that such and such a job would be our last appearance, and that on stage, as a symbol of this change, he would shave his moustache off so he would be just like the rest of us. Well, we probably all grew moustaches so that he would be the only one that was different. Except Maria. And that’s why I have my moustache today. CM : From the last gig until the present. CM : Good stuff ! Do you see those people at all now ? 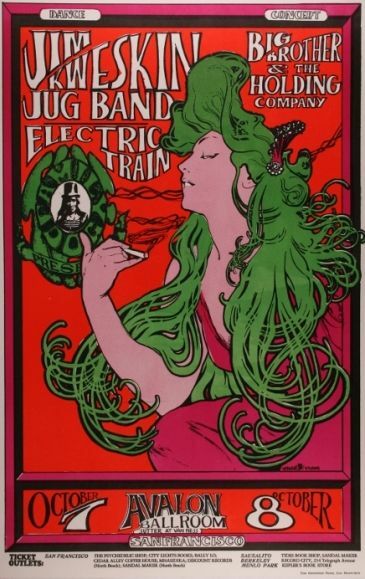 BK : I see Fritz every now and then because John Sebastian lives in Woodstock and Fritz does some gigs with him. They have this thing called The J Band. CM : That’s where you are ? BK : Yes, I live in Woodstock, and so I do run into Fritz from time to time. I have run into Maria occasionally ; she toured in the East this spring. For a while we were managed by Manny Greenhill, a wonderful guy who was in Boston at that time, [he also] managed Pete Seeger and Joan Baez. He then moved to Santa Monica, California. His son Mitch now runs the business, and Mitch is a musician too. Manny passed away a year or two ago, and since he lived in Cambridge for such a long time, they had a memorial service for him there. I went to that and I was sitting there in the back of the room at one side looking around the room, seeing lots of people that I knew. There was one guy over in the corner ; I couldn’t quite make it out. I looked and looked, “That’s got to be Jim Kweskin !” So, I walked over there, stuck out my hand and said, “Jim, it’s been a long time, but I hope you’re doing okay.” He took my hand and shook it and he looked at me and looked at me and finally said, “I can’t remember who you are.” I was shocked. I was stunned. I said, “Jim, we played in the same band together for five years.” And then it was sort of an, “Oh, yeah…” kind of thing. Well people do change physically, so you can’t really be sure. CM : He wasn’t used to your moustache ! For four years and ten months, whatever it was, without the moustache. BK : Ha ha, maybe that was it. We schmoozed a little and that was it. He is really not performing music. I was amazed, because I thought music was really an integral part of his psyche. He doesn’t appear to be doing much at all, because he is sort of a business manager of that community’s holdings, which are considerable, with real estate on the East Coast, in the center of the country, and the West Coast. I think what he does now is juggle numbers. BK : Well, of course Geoff was a Woodstock resident. Geoff, well his life is forever changing it seems. What appeared to be a stable situation in Woodstock, he took up with Jim Rooney’s wife. So he and Maria got divorced and then he and Jim Rooney’s wife moved out of the area. They had two kids. But some years after that, Geoff is on the loose again. I ran into him out in California ; he was living in Mill Valley just across the valley from Maria. We had a Jug Band reunion, a brief tour of the Jug Band in Japan, so we got together in California to rehearse. I think since then, Geoff has left that situation. He worked for a friend named Joe Boyd at Carthage Records and Rykodisc. CM : Yes, I know who he is. BK : Well, Joe had been a childhood friend of Geoff’s so he got him a job when they had Carthage Records in Jersey and Geoff learned how to operate a database. So next thing you know, he’s selling his database knowledge to other people. CM : Any documentation of the Japanese tour, recordings ? BK : No. We couldn’t get Jim Kweskin to do it. Everybody else seemed up for it. But we actually ended up [with] a fellow named Steven Bruton, who played guitar and sang Jim’s songs. CM : What name did you go out as ? BK : I think we just called it the Jug Band. CM : What year would that be ? BK : I’d have to look in my passport. It was six or eight years ago. It was definitely after we’d all gone our separate ways long since. CM : Well, thank you for your time. I have a lot of other questions but I know you’ve got someone else waiting here. One last question if you don’t mind : birth date and place ? BK : I was born in Boston, Massachusetts on December 20, 1939, so it’s strange to me that I’ve been alive in seven decades but haven’t reached the age of 60. Seems impossible. CM : Impossible but true ! Thank you so much. BK : Okay, Craig, thank-you. Bill Keith died in 2015. See his obituary here.